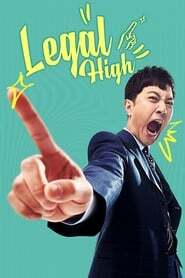 : Go Tae-Rim (Jin Goo) is an arrogant lawyer who only cares about winning in court. Meanwhile, Seo Jae In (Seo Eun Soo), is a rookie lawyer who wants to help clients trapped in unfair situations. However, Seo Jae-In (Seo Eun Soo) soon begins to realize that lawyers who do not win cases have no power to protect the weak. Her decision to work with Ko Tae Rim (Jin Goo) to be on the winning side will now change everything!